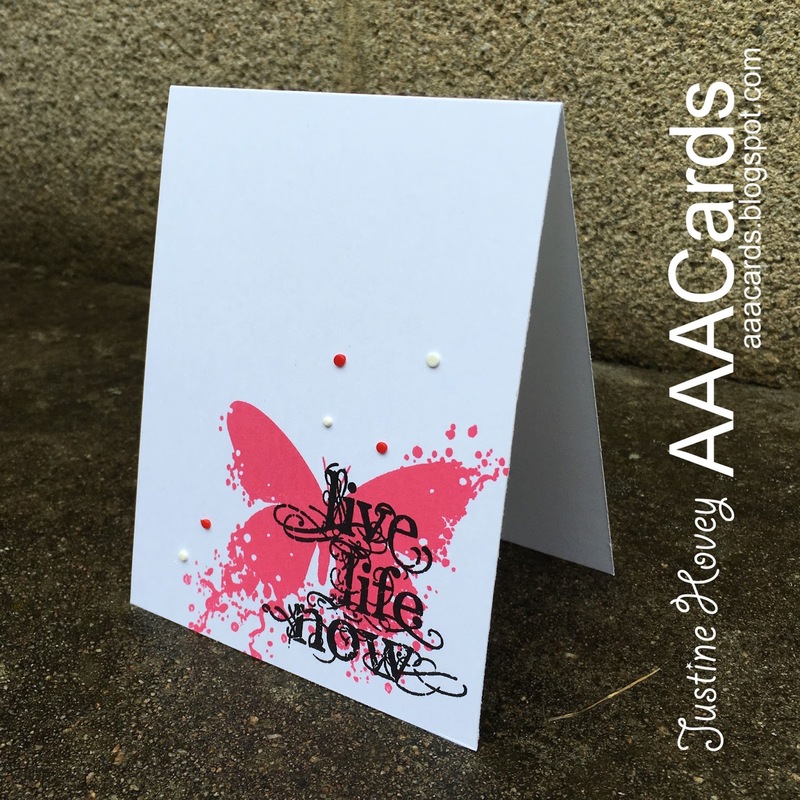 today over on the AAA Card Challenge we are looking at Stash Favourites. I've had this stamp by Visible Image in my stash for ages and have been wanting to use it so I thought this would be the perfect opportunity! Also, embellishments like Nuvo Drops in all kinds of colours are great to have on hand as well! Sponsored this challenge by Stampendous! I hope you will join us over at the AAA Card Challenge this week for a chance to win an awesome prize and bragging rights! Learnt something new today - never seen those nuvo drops before and they look fantastic. Great combo with that gorgeous Visible Image butterfly. Your card is beautiful. I love the colors and the sentiment. Beautiful. Beautiful crisp stamping Justine and a superb stamp to showcase as your stash fav! Great colour too, bold and beautiful. I love Visible Images products, and now I am inspired to take some out and ink them up. You card has a beautiful, simple design that really packs a punch. Love the Nuvo drops as well. Just got a bunch of them.